Flag-Works has Breast Cancer Awareness Flags. Made in the USA. We have sizes 28″ x 40″, 2′ x 3′ and 3′ x 5′. We are a supportive company of this event. We would love it if you would join the event and support Breast Cancer Awareness and fly your Flag. 10% of each sale will benefit Breast Cancer Research. This entry was posted in Breast Cancer Awareness Flags and tagged Breast Cancer Awareness, Breast Cancer Awareness Flags, Breast Cancer Flags, Flag-Works, Flags for Breast Cancer, Made in the USA, Nylon Breast Cancer Flags on September 30, 2015 by admin. 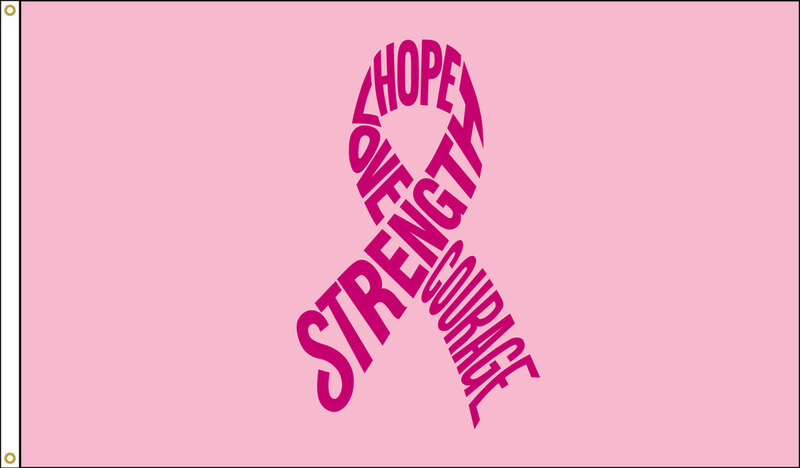 The pink ribbon is a symbol of the strength and courage of those who battle this disease and the ongoing efforts towards Breast Cancer prevention and awareness. 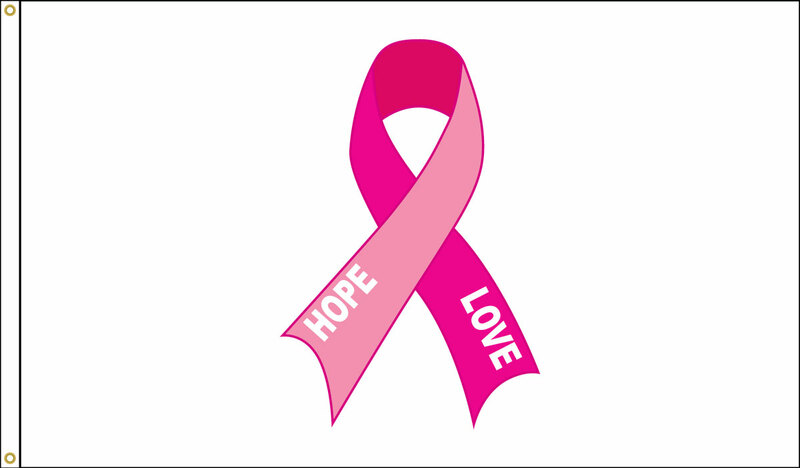 This entry was posted in Breast Cancer Awareness Flags, Decorative Flags and tagged Breast Cancer Awareness, Breast Cancer Awareness Flags, Breast Cancer Flags, Flags for Breast Cancer, Made in the USA, Pink Ribbon on October 1, 2014 by Courtney.